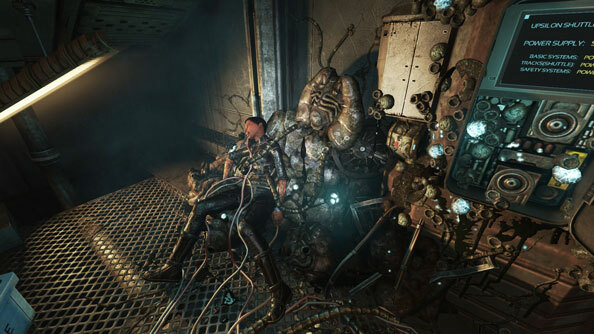 Frictional Games, who you’ll know as the purveyors of some of the finest horror games around, have just offered a big developer update discussing the success of SOMA and where they’re going as a studio. Among the most pertinent details? They have two new games in the making. Stay in the shadows with the best stealth games on PC. The first is in full production, and will be another title “horrific in nature.” The second is in pre-production, and apparently “will be less about direct, visceral horror, and more about the player gaining an understanding of different concepts.” Extensive planning time – more than any of their previous games – has been in order to help the team find the right approach with the title. Neither of these titles have been officially announced yet, though Frictional say to expect more details on the first in the early half of next year. This is all part of a new production model for the studio, where they’ll keep two games in production at all times to ease the burden of moving from one project to another. SOMA has proven very successful, even as full price purchases have dwindled in favor of sale prices. The game has actually sold more copies this year than last, but with many of those sales coming from bundles and discounts, the benefit for the studio hasn’t been as great. The long tail has given Frictional an explicit philosophy of creating games that remain memorable long after their initial release. “Our goal is to create games that are more than forgettable escapism,” they say. “We want people to come out of their experiences feeling changed. A lofty goal? You bet. While it’ll be impossible to make sure every single player has this type of experience, it feels like the perfect thing to strive for.” Sure sounds like a noble goal to me.